Here’s the system information Steam gathered. It has been a while since Dragon Age first appeared on the market. My wife have been playing off and on since the release, and we are close to completing the game, definitely within the last 25%. To make a long and frustrating story short, I managed to destroy our operating system installation accidentally one dark and stormy night (NTFS file system gone, EXT3 in it’s place with additional files installed on top for good measure), on the very drive which held our Dragon Age and Fallout 3 games. Two very long games, so no small amount of investment. Obviously, there was much drama and hand waving. Long story short (didn’t we already do this part? ), I recovered most of the save game files, reinstalled the operating system (Windows 7, 64-bit), and installed all of those nasty dependencies. Now, I was ready to install the game. I gingerly placed my Dragon Age game disc in the DvD drive, ran the auto-installer, and… whammo! A big ol’ data read error in my face. Now isn’t that just great. Insolent hardware! I went through this process several times later (copying contents from the disc to the hard drive, disabling the Data Execution Prevention for the installer, etc. ), and to make a long story short, had no success with the same error appearing in seemingly random locations during the install. However there is a silver lining, and I eventually did manage to get a fully functional installation. Would you like to know how? I simply copied the disc’s contents from another machine’s DvD drive (an iMac in this case) to my Windows 7 box. Ran the installer and it worked. No fuss, no muss. Except for all of the fuss and muss I mentioned above. Please feel free to send me money if you find this helpful. This is another book from my library that I have decided to take a look back on and see if there are any useful tidbits to be used by programmers today. As with most technical books which are more than ten years old, there is usually an abundant amount of information about specific technologies which are no longer in popular use, or perhaps the technologies are still present in one form or another but the means to access them have changed dramatically. I personally believe that many of these books can give the novice programmer a background not taught in universities and colleges and will certainly give them an edge when working on limited or older machines. The book does talk about video hardware used in that time period and delves deep into the programmatic underpinnings when accessing the display and creating custom video modes. 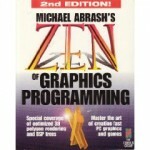 I found some of the discussions to be noteworthy but if you really want a thorough explanation, you may want to investigate the Zen of Graphics Programming or the Graphics Programming Black Book. It also delves into a bit of assembly language primer, which is very typical for these books, since many of the routines were coded using that language. The introduction is short but may be a nice refresher for those who haven’t gotten their hands dirty in a couple of years. I’ve made a list of what was still useful for work you may be doing today – unless you’re one of the lucky few who get to maintain software written in 1994. Your mileage will vary as some of the techniques are really just short introductions to a much larger field like digital image processing (DIP) and morphing. It even had a short introduction to 3D graphics, which seemed to be slapped on at the end because the publisher wanted “something on 3D” so they could put it on the cover. It provided color space introductions, conventions, and conversions for the following spaces: CIE, CMY, CMYK, HSV, HLS, YIQ, and RGB. Most of the conversions go both ways (to and from RGB space), although CMY/K conversion calculations are only provided from RGB space. Dithering and half-toning, followed by a chapter on printing. I think the authors mentioned Floyd-Steingberg in there somewhere, but it wasn’t a full discussion. Fading the YIQ and HLS color space. I’m not sure why they didn’t provide one for the RGB space, but it could very well be on the bundled CD-ROM. It introduces the reader to a few algorithms for primitive shape drawing and clipping, like Bresenham line drawing and Sutherland-Cohen clipping. It also included discussions and examples for ellipses, filled polygons, and b-spline curves. Extensive discussions on graphics file formats for GIF, JPEG, TGA, PCX, and DIB. Although these tended to be higher-level than what would have been useful for someone implementing a decoder for any one of these formats (with the possible except of PCX). Associated algorithms like LZW and RLE are also explained as they are used by encoders of these formats. The topic on fractals and chaotic systems was a little out of place, but was a little more extensive than the chapter on 3D. It did explain the concept of an L-system fractal, and even provided a generator for it. When supplied with a configuration file, it could produce fractals like the von Koch curve. It briefly touched on the Harter-Height Dragon fractal and introduced the Mandelbrot and Julia sets, but didn’t delve into chaos theory, even though I’m sure one the authors desperately wanted to do so. Related to the discussion of fractals was the section on generated landscapes via the midpoint displacement method. While not a landscape per se, the authors digressed a bit to talk about cloud generation as well. The book finally managed to get around to the reason I bought it in the first place many years ago, which was the all too brief chapter on DIP techniques. It quickly introduced and provided code for algorithms like the Laplace filter, as well as popular effects like emboss, blur, diffuse, and interpolation. The treatment was very light, so the reader will not walk away with a solid understanding for any of the example code, other than trivial effects like pixelate or crystalize. There are certain books on my shelf which I will never give up. I donate many to the library but some have a staying power I don’t often see and tend to covet when I do. Michael Abrash’s aforementioned text is one of those books. It’s a technical book cover to cover, there are a lot of hairy details which are fun to read about and you would be hard pressed to find code listings your mother could understand (unless she too is a programmer, lucky you!). The book was written in 1996 for a whopping retail price of $62.99 (CAN). That was a lot of money for a young man who was entering his second year of university. Like many people, I bought the book during a time when browsing the table of contents on the Internet was simply not an option. Most of the time, I couldn’t even look inside a physical copy because my book store simply didn’t stock the books I was interested in buying. I often needed to special order these texts using a behind the scenes method, that is, if I was lucky enough to find a distributor in their corporate directory. I fondly remember spelling out the book titles carefully since the nice women working behind the counter didn’t have a clue what I was talking about. Most of the time they must have thought I was speaking a foreign tounge because they would often ask me to repeat it, or reply seconds later with a vaguely stunned expression. What I needed to rely on, was the opinions and recommendations of graphics and games programmers who posted comments through various Usenet news groups, BBS systems, and the very rare in face to face conversations. This particular book was published by The Coriolis Group and featured a wealth of information on programming computer graphics using an Intel microprocessor and a video card sporting multiple video modes, including compatibility with the elusive and fabled Mode X. 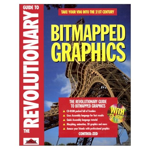 Being a book on graphics programming in 1990’s, it centers around producing efficient drawing code. It tackles the more basic primitives and how to decompose the traditional rendering algorithms into something which could execute very quickly, and then review that optimized code progressively to try and squeeze out even more cycles from your overworked CPU. One of the best features of the book, is that it’s mostly a book on algorithmic optimization, instead of code optimization, which is why it has staying power even today. For those interested in the past-time of code reduction, the author has written another book called The Zen of Assembly Language which is freely available as a digital download (or was the last time I looked). Three dimensional computer graphics was a popular topic at the time and still is to this day, although advances in this area of computer science have rendered (pun intended) some of the earlier topics almost obsolete. Of interest to those studying the rendering pipelines used by classic games like Doom and Quake are topics around the interpretation and optimization of BSP trees. BSP is a fancy acronym standing for Binary Space Partitions, which is another fancy way of describing how to carve up space into optimal chunks, and then placing those chunks into a data structure like a binary tree. The reason Doom ran as fast as it did was not because the developers wrote some of their modules in assembly language, it was because the BSP compilers produced an optimally pruned set of data. Less data to process, meant more cycles to render those beautiful walls, ceilings and stairs we have all come to love and adore. I find this book to be especially useful, however, when you need to return to the fundamentals. With the advent of small, portable devices, programmers working on these products have needed to return to their roots, or if they are new in the industry, to open their minds and think about the construction of 2D & 3D engines in a way they never thought of before. Most of the engines used by nubile programmers entering the field of computer graphics will be wrappers around this functionality; abstracting the core mechanics and shielding the developer from the tedious and structural bits of the engine. Indeed, this is probably for the best, most of the time, if productivity is what your company needs. It never hurts to return to your roots every now and then, and let your mind flourish in an area rarely experienced by most technical professionals. Press the tilde (~) and disable the game’s AI with the “tai” console command. Enter the command: player.moveto 00019FC6. This will teleport you to Janice Kaplinski. Talk to her, Dr. Li, and any other scientists, if you want. Turn the AI on again with the same “tai” command. Spoiler: Fallout 3 has bugs. Sorry. We’ve been playing Fallout 3 for a few days now and it seems to have a few problems, but nothing too major so far. Over the last week or so, I have read a number of posts and articles complaining about the stability of the game. Well, my response to these people is to just relax and try and fix your problem with the debug console – Xbox and PS3 users are out of luck, I’m afraid. With a game of this size and complexity, you must allow for the initial round of bugs, even ones related to the main quest. Bethesda simply does not employ enough people to cover the same amount of ground as the community. As an example, how many people do you think have purchased a copy of the game since it was released? I’m lazy, but let’s just say 100,000 copies were sold. As is the case for almost every piece of software, users really do make the best testers since there are a lot of bored people in the world, and everything they do in the game is new and intriguing to them so they tend to poke and prod at the software in ways the game development company never expected. Do you honestly think Bethesda should try and compete with that many play testers? Well in order to have a testing team which can compete with a group that size they would need to charge $1000 for the game. Yeah, no thanks, I’ll live with my slightly crippled software, until they come out with a patch release. When you think about the number of things which could have gone wrong, the bugs I have seen floating around the Internet are annoying, but not outside what I would have expected from a game like Fallout 3. When I mention QBasic to some people, they immediately think I’m talking about Quick BASIC. The two products, however, are a little different. They were both created by Microsoft but Quick BASIC is basically a super set of QBasic. QBasic has an interpreter and an editor built as one package; I hesitate to call it an IDE since your projects could only use one module at a time. It was also limited in the amount of memory available to the program and the amount of memory available to the editor. I experienced the latter problem only once while creating a game involving viruses and robots (I didn’t get around to naming it); the editor just started losing lines of code I had written and was behaving eradically. Eventually, I became frustrated and moved on to other and presumably smaller projects. QBasic made its first appearance with MS-DOS 5.0. It came with a few example programs and games. One of these games was called Nibble. I love this simple game, even to this day. It’s a little similar to games like Centipede, although the game itself is far too simple to make a reasonable comparison. The goal for each level is to gobble up the numbers that appear in random locations. Each time one of those numbers gets consumed, your “snake” grows a little longer. You have to avoid running into the walls of the level, which get more complicated as you progress, and you must not run into yourself. As you attain higher levels, your snake becomes faster and faster. This game was never synchronized with the system clock, so if you play the game on a machine made today, it would move around so quickly as to render the game unplayable. I have often thought a game like Nibbles would make an excellent game to practice your porting skills on other platforms. It is sufficiently interesting to make the project worthwhile and could be adapted to play well using almost any input device. It could also be rendered using a simple text mode, just like the QBasic version, or you could enhance it in a graphics mode using imagery, vector graphics, etc. QBasic also introduced the concept of functions and other forms of structured programming. GW-BASIC could only remember and execute your program if each line was prefixed by a number, or right away if you are using instructions in immediate mode. As you added and removed lines from your code, there were a couple of functions to reorder or renumber your line numbers when you ran out of room. The concept of a function didn’t really exist in GW-BASIC; instead, it allowed you to jump to a particular line number using commands like GOTO or GOSUB. The latter was more like a function since you could jump to a specific region of code and then return from that function when the code had finished. GW-BASIC also supported one line functions which were handy for calculations. Although QBasic could still use line numbers, it encouraged the use of named labels for functions instead. Despite my work with Amiga’s BASIC, I still preferred the old way since I had been doing it for so long. It took me a while to adjust to the new program structure at first, so I purchased a new QBasic book after upgrading and essentially dove in head first. Having no functionality to manipulate interrupts meant there were no functions to gather information about input devices like the mouse. Despite this seemingly major failing, all was not lost. While it could not handle input from the mouse directly, you could make use of a machine code sub-routine which could get the information you needed, like position and button states. You could use techniques like this to gather information from other devices. QBasic also introduced me to one of the greatest time saving features ever created: the debugger. A debugger can be a separate program or feature within an IDE which allows you to trace through your program and examine variables and addressable data as the software executes. One of the core features of a debugger would be the ability to set a break-point at a specific addressable location that corresponds to a precise line within your source code. Before debugging, I was tracing through my program by hand and using PRINT commands to dump the contents of a variable. Even today, there are professional programmers who don’t use a debugger, either by choice or lack thereof, and choose to examine how there software operates by sending information to a log file or an output stream of some sort. I first discovered this little gem while poking around on my Tandy 1000 RL computer back in 1991. Because I was familiar with various versions of BASIC already, I was able to fire it up and immediately begin writing fairly simple applications. However, there were differences to Atari’s version of BASIC, and no discernable way to figure that out without a book or some other documentation. I poked around on a few of my favourite Bulletin Board Systems (BBS) and found a small cache of programs written in GW-BASIC. I downloaded each of them, spending all of my download credits in the process. I poured over them line by line and found myself having more questions than answers. Many new programmers today expect there to be some sort of documentation available when they learn a new technology. It’s an expectation that has evolved over the years. Today, it would be practically unheard of if you couldn’t find some resource describing the software on the Internet, or some blurb in a book, or even bundled with the product. However, when I started looking for a book on GW-BASIC (version 3.23 to be exact), it was darn near impossible. The people I spoke with had no understanding of programming, let alone a specific language. The computer sections in the store were spartan compared to the sections you find in stores today. In fact, several years later, I still needed to special order the books I wanted through the book store; even today, I usually order my titles through Amazon since a store like Indigo usually doesn’t have them in stock. I eventually wandered into a local computer store – I was attracted by a demo of Wing Commander II playing on one of their expensive new 486 machines, so I went in to ask them if they knew where I could get my hands on some material. I spoke with the owner and he seemed to recall seeing a book for BASIC in the back of the store. He left for a couple of minutes and returned with two books under his arm. One was for the exact version of GW-BASIC I was looking for and the other was a compatible book for MS-DOS. I was ecstatic and I nearly fainted when he gave them to me for free. I don’t remember what I said to the man that day, but I’m sure it wasn’t adequate. I wrote so many programs in that environment. I think I still have a few of them today on floppy diskette. They were simple at first, like simple word games such as hangman. However, it wasn’t long before I discovered how to increase the resolution and colour depth and draw simple graphics. I had already written code for the Atari which made use of pixel plotting routines or simple geometric shapes. There were pre-canned routines the Atari provided for drawing shapes, along with a few parameters for style, colour, and shape. GW-BASIC was similar but provided several more commands and options. With a smaller font and a higher resolution, debugging within BASIC became more feasible. I still couldn’t scroll, but at least I could view a larger portion of the code on the screen. Sound was also possible through the PLAY command, or if you were so inclined, through a custom routine written in assembly language which could be written to generate all sorts of sounds like noise or even speech. I had converted several songs using music sheets and converted them to their GW-BASIC equivalent. Not terribly exciting, but it did make for some creative demos which seemed to impress onlookers. Some of the more interesting projects involved controlling external devices like printers. I must have programmed my software to use every conceivable option available through my Star NX 1000 II dot-matrix printer. I could instruct it to use standard type effects like bold and italics when printing text, but I could also program it to print graphical data like images and shapes. I even created printed graphics for the Mandel Brot set by rendering the fractal to my printer instead of the screen, one pixel at a time. Perhaps the most interesting device was a robotic arm which was controlled through a series of commands dispatched through the parallel port. I didn’t have access to such a device at home but my school eventually purchased one, so one of the teachers decided to create a contest for students. Whoever could program the robotic arm first, would win a special prize. The task was to pick up a piece of chalk and draw a picture consisting of at least four shapes. It was a fun contest and I walked away with a pass which granted me as much lab time as I wanted. Before I upgraded to a new machine and moved to a new version of MS-DOS, I was intimately familiar with every command in that book, even the more obscure commands like CHAIN and PCOPY. Although, the really obscure commands were still a mystery. I didn’t know you could actually write assembly language routines in GW-BASIC using DEF USR and USR commands until sometime later.